Since 1978 Kathy Broker/Owner of Aparo-Griffin Properties, Inc. has resided in Central Florida, more specifically in Deland, for over 25 years. Kathy's leadership, performance and innovation lead her to be honored with many awards throughout her career. Out of 114,000 agents in Florida ...Kathy was among TOP 100 in the state of Florida by Real Estate Executive Magazine in September 2016. In October 2016 Kathy was honored as Best Woman Owned Real Estate Business - USA & The Community Business Award 2016 - Florida Wealth and Finance. In 2014 the 9th Annual Volusia/Flagler News Journals Business Report was published and Kathy Aparo Griffin was honored and featured as "One of Central Florida's MOST influential women in business". Aparo-Griffin Properties was opened in 2004 and every year, for the past 10+ years in a row, has been a TOP 10 Producing Company. Most recently in 2016 Aparo Griffin Properties received the Readers Choice Award they were Voted THE BEST Real Estate Company in WEST VOLUSIA by Hometown News. In addition Kathy was voted as BEST REAL ESTATE BROKER and BEST REALTOR for all of west Volusia, including Deland, Deltona, Deleon Springs, Lake Helen, Orange City and Debary. Kathy spends alot of her spare time volunteering at various school's as a guest speaker, she was the instructor at "BOOT CAMP," where she taught new agents the business of real estate at the board of realtors and mentoring new agents at Aparo-Griffin Properties so they can also be TOP Producers. Kathy annually sells over 10 MILLION dollars in real estate earning her a spot as one of the top five producers every year since 2003 from the West Volusia Association of Realtors. As of August 2016 Kathy has sold over $150 MILLION DOLLARS in Real Estate most of it right here in West Volusia! In 2008 Kathy was honored as the TOP PRODUCER in WEST VOLUSIA and she received the TOP PRODUCER award from The West Volusia Association of Realtors. Also in December 2010 Kathy was honored as the TOP SELLER OF THE YEAR selling more REAL ESTATE then ANY REALTOR in WEST VOLUSIA! Kathy's experience is NOT just limited to the residential market as she has a great deal of experience in investment properties, developing property both personally and professionally. Her most recent project was working with Auto Zone. Kathy sold them the property in Deland and assisted in the development process, technical review committee, rezoning, annexing all to prepare for land development. Kathy's compassion and personality make her very successful in helping those facing foreclosure. She has perfected the process of negotiating with banks to get them to SHORT sale many homes. This in turn has stopped many homeowners who felt helpless from being foreclosed on...and they can now move on with their lives. 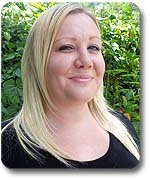 Kathy is professional, outgoing, full of energy and very knowledgeable. Experience is what is most important when buying or selling let Kathy help you. Bill Griffin is married to Kathy and together they own Aparo-Griffin Properties, Inc. They have two children Billy and Isabella. Bill, also known as "Iron Will", enjoys riding his 1973 shovelhead motorcycle. Bill had a career in the aviation field but at the hest of Kathy he started working for her!! He earned his Broker's license in early 2007 and has never had more fun than working with the crew at Aparo-Griffin Properties. As a matter-of-fact, Bill is our in-house pre-foreclosure (short sale) expert; he negotiates with banks to avoid foreclosure sales. 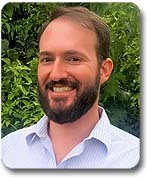 If you have questions about avoiding foreclosure please call Bill, he can help! Raised in South Florida and a Central Florida resident since 2003. Kelly is married and has one child who is 3 named “Madison.” Kelly has been a Realtor since 2002. She enjoys the beach, riding her bike and fine wine. 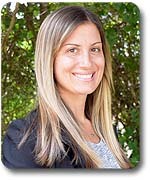 She also enjoys working with first time homebuyers and those that are MOVE up buyers. She also has a great deal of experience with HUD homes. If your looking for a Realtor that makes shopping for your next home fun call Kelly. Mitch was born in Livingston New Jersey but lived in Longmeadow Massachusetts until receiving Bachelor of Science degree from Western New England College in Springfield Mass in 1993. 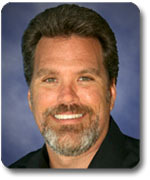 Mitch got his MBA from Nova Southeastern University in 1999 in Fort Lauderdale. He has lived in central Florida for 10 years and 25 years in Florida. Mitch has 20 years of customer service experience, held management positions and has had his own business for a number of years. He has been married to Jennifer for 17 years and has a daughter that attends Deltona High School. He was a chaperon for the Girl Scouts of America in Orange City and was active in their trips and fund raisers. Mitch will work diligently to find you the perfect property! Jennifer is from West Palm Beach, FL and has been living in DeLand since 2006. She fell in love with the town and began selling real estate in 2015, earning her Real Estate Broker License in 2018. Also in 2018, she was voted "Best Real Estate Agent" by the Deltona readers of Hometown News. Jennifer has a stellar record of serving buyers and sellers by customizing her services for each customer and keeping up-to-date with market trends and financing programs. Her expertise includes various loans (FHA, VA, USDA, private financing), historical properties, first-time homebuyers, investments, and business sales. Jennifer earned her Bachelor of Business Administration degree from the University of Central Florida and her Master of Business Administration degree from Stetson University. She remains involved with Stetson as the Chapter Advisor for Alpha Kappa Psi Professional Business Fraternity and a founding member of the Stetson University Networking Volusia group. She is married to Steve and has three children who keep her involved in the MOMS Club of DeLand and Girl Scouts of America. When she isn't working, Jennifer loves spending time with her family, the beach, yoga, and craft projects. Barbara's first "Tour" in Central Florida was during her long career at AT&T, in a variety of Finance/marketing roles. After multiple re-locations, Barbara took early retirement in 2000 in the Dallas/ft. Worth Metroplex and sold Real Estate in North Texas for many years. 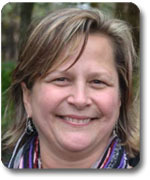 Barbara sold real estate in North Georgia Mountains, in Blairsville, as well as in the Stroudsburg, PA. Pocono region after life changes forced multiple re-locations. 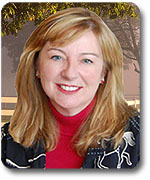 Coming back "home" to Central Florida, Barbara enjoys country and equestrian properties. Barbara has been a lifelong equestrian, competing with hunter/jumpers and eventually Dressage in New Jersey, Florida and Texas. Barbara's background also includes a BA in Economics and an Executive MBA, both earned at Rollins College in Winter Park, FL. Mary has lived in central Florida her entire life. 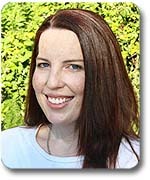 Mary grew up in Orlando and relocated to Osteen in 2006. 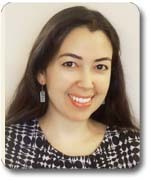 Mary is an avid Florida Gator, having graduated with a Bachelor of Science in Journalism and she obtained her Master of Arts in Public Administration from Webster University. Mary’s background is urban planning, zoning and land development and worked in local government for over 30 years. After retiring from local government, she got her real estate license and joined Aparo-Griffin Properties. 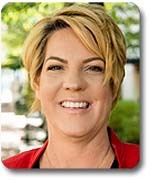 She enjoys helping people achieve their goals, whether buying a new home or selling property. She also pursues training and competing sport horses in the discipline of dressage. She also specializes in equestrian estates. Jeri is from Ogdensburg, New York. She has been in Florida for 26 years and is married to Dustin and they have 3 beautiful girls, one "son" JOHNNY is a 2 year old morkie-poo. 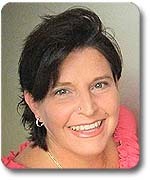 Jeri is a UCF Graduate with a degree in education and has her own business residential/ commercial cleaning. Jeri enjoys traveling and got into real estate because she enjoys people and helping them get into their own home. Keith Chance grew up right here in Deland and also lived in Deltona for 10 years. Keith is married to Nicole and has 5 children. After serving in the military, Keith returned home to Volusia county. He has worked in aviation, working with everything from small planes to the Space Shuttle at Kennedy Space Center. During his off time, Keith is a pilot and enjoys getting a birds-eye view of our beautiful state. His passion for negotiation and customer service has led him to a rewarding career in real estate. Let Keith help your real estate dreams take flight! Candiss Armijo is from Oklahoma and has lived in Florida for 13 years with her 2 children. Prior to Real Estate, Candiss worked as a Medical Assistant doing home healthcare. She enjoys being outdoors and spending time with her family. 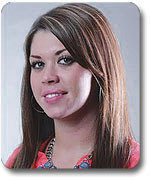 Candiss’s passion for Real Estate began at a very young age after being introduced by her father a contractor. If you’re interested in New Construction call Candiss. 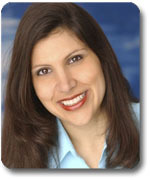 Christine Iglesias was born and raised in Florida. She is married and has 3 beautiful children. Christine worked in customer service before taking time off to be a stay at home mom. She has always had a love for real estate. She got her license in 2016 and is excited to be working with Aparo-Griffin Properties. Nicki was born and raised in Central Florida and moved to Deltona in 1993. She is married with 2 young daughters. Nicki has a 4 year degree in Technical Management with a minor in Criminal Justice. Prior to real estate, Nicki worked in the customer service / accounting field. Nicki loves working with people and would love to help you achieve your real estate goals! 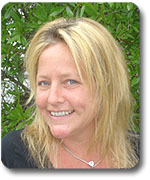 Halley was born and raised in New Smyrna Beach. She is married to Joe and has two boys less than two years apart. Halley earned her bachelor's degree at UCF and went on to teach 5th grade in volusia county for 5 years before leaving to have her first child. She decided to transition to real estate because she enjoys meeting new people and helping them find their perfect home. She also enjoys being outside, running and travel. 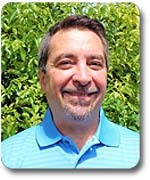 Chris comes to Aparo-Griffin Properties with over 30 years of sales and marketing experience. 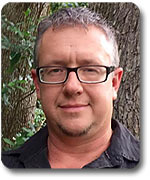 Chris has a Bachelor of Science degree in business with a concentration in marketing from Minnesota State University, Mankato. He owned his own successful paper brokerage for over 10 years. 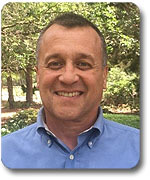 He most recently worked in Deland in sales with Frontier Communications. Before being a stay at home mom for the last 20+ years, Kim worked in various office positions; ranging from Lead Records Clerk for the Key West Police Department to working for a short time with a Title Company in Winter Park, Florida. Upon moving to Deland in 1989 she found employment with a local attorney who has since retired. In 1993 she became a mom to her beautiful twin daughters, also managed her and her husband’s commercial kitchen installation business, here in Deland. 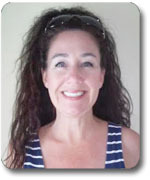 Kim began working Russo Appraisal Services from 2006-2009. In 2009/2010 she enrolled in Daytona State while working for Stetson University in their catering department. Buying or selling a home or investment property is an important transaction and you need sound representation and advice throughout the process. You need an agent that has "been there" and will "be there" for you during the entire process. With strong community roots, up to date market analysis strategies, and insider information in local and regional markets, Chanda Mims is an excellent choice for you real estate needs. Chanda is strong willed, highly motivated and a client focused realtor who will always consider your individual goals, family/business needs and long term plans to guide her every move. Chanda has two young boys and was born and raised in Deland Florida. For the last 10 years Chanda has excelled in client driven professions including local management positions with large healthcare companies, entrepreneurial ventures and real estate. Chanda's entire focus has been on getting clients to a better place by helping guide and advise them in personal and business transactions. If you are looking for an accomplished agent that believes in serving her clients' needs above all else then you should meet with Chanda and get started on the process towards a smooth, successful real estate transaction. 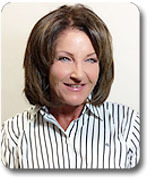 Sandy is from Palm Beach County Florida where she gained Extensive experience in small business operations. 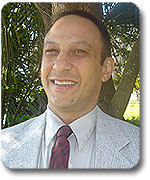 Sandy attended Palm Beach State College and Florida Atlantic University for Business Major. Sandy owed a specializing bookkeeping and accounting business and also owed a small day care. She loves to volunteer and has with girl scouts as a leader, church nursery, and hospitals. She is from Palm Beach County in Florida. Bobbi was born in Asheville NC but raised right here in Deland Fl. She has been a special Education Assistant for several years for Volusia County School board. She has 2 children and in her spare time loves to spend time with her family. Her passion for helping people has led her to a Career in Real Estate. David was born in Milford Mass. and moved to Florida in 2004. He is 20 years married to his best friend Jennifer and has 2 children Kaitlin and David Jr. On his spare time he enjoys fishing. He has run his own 30 man crew in construction specializing in roofing and painting for 20 years and decided to transition to a realtor. He is an excellent resource in general home construction and has many contacts still in the construction field to help answer questions sellers or buyers may have about their homes. Austin originally from Ormond Beach, holds a B.S. and M.S. from Florida State and an MEd from the University of West Florida. Traveled and lived in Korea for work were he met his Wife of 5 years, and has returned to Volusia County to pursue a Career in Real Estate. In his free time Austin loves to Scuba Dive. Leslie is originally from New York she moved to Florida 15 years ago. She is married to Jeremy and they have a little boy named Jace he is 18 months old. Leslie loves to spend time with family and loves the theme parks. 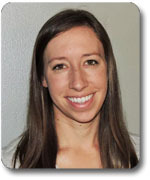 Leslie also has a Masters Degree in Business Administration from France. She enjoys Downtown because of hustle and bustle so if your looking to buy DOWNTOWN Orlando or DOWNTOWN Deland OR anywhere DOWNTOWN Leslie is your gal. Copyright © 2017, Aparo-Griffin Properties, Inc. All rights reserved. Equal Housing Opportunity. Licensed Real Estate Brokerage.